The accommodation industry is all about customer service, right? 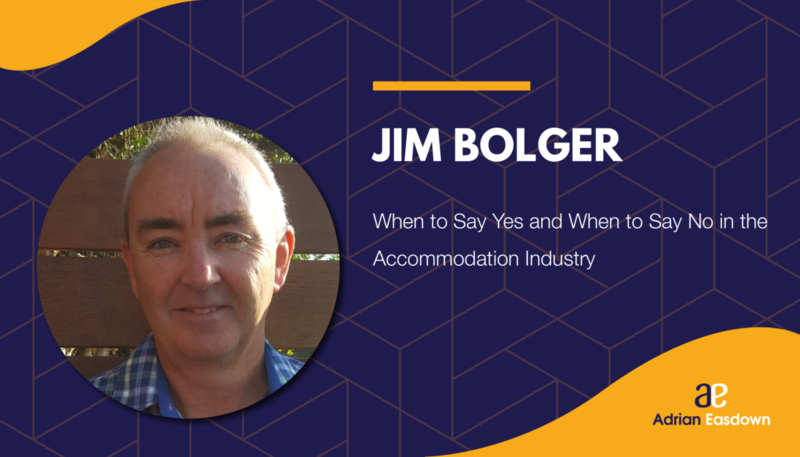 In this episode of That Bad Review, Jim Bolger shares his thoughts on choosing the positive approach with customers, but he also tells us how to deliver the perfect ‘no,’ if that’s the only option. He also chats about how Airbnb can be considered as an alternative market, and what that means for entrepreneurs working in the accommodation industry. Jim is the current director of Integrated Site Design. Formerly, he was the general manager of North Coast Holiday Parks, in which he managed 23 parks, giving him plenty of exposure to the caravan and holiday park industry. Prior to that position, Jim was the CFO of the Byron shire council for a number of years.